Display cases: Lainie Vreeland’s original two- and three-dimensional mixed-media artistry blends creative interests with her love for nature. Through Aug. 10, Annual Periodical Drive, visit http://www.washoecountylibrary.us. Through Aug. 31, Summer Reading Program features “Fizz Boom Read!” for younger children, “Spark a Reaction!” for teens and “Literary Elements” for adults. Kids will receive a reading record and earn rewards. Aug. 7, 6:30 p.m., author Arlene Morgan wrote “Roots of the Vines,” a historical romance novel set in Napa and Sonoma, Calif. She will present her research into the region’s history focusing on the Italian immigrants at Italian Swiss Colony. Q and A, book signing will follow. Aug. 13, 4-4:45 p.m., Family Story Time. Children of all ages welcome for stories, songs, games and crafts. Aug. 14, 6 p.m., author James D. McFarlin, “Cyber Warfare Today.” What cyber threats do we face in the U.S.? Are we under cyber-attack? Noted thought leader, author, mentor and speaker will present trends in cyber warfare, with Q and A to follow. Visit http://www.CyberwarfareToday.com. Aug. 15, 2-4 p.m. Lifescapes. Seniors are given an opportunity to write and share their memoirs. Children’s Environmental Science Day is a free community event held annually for children (ages 6 and up) and their families. 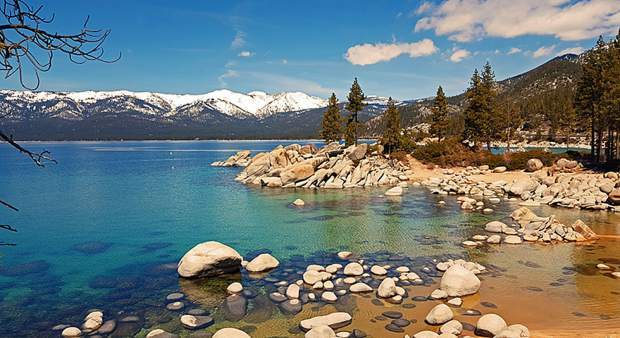 The event includes hands-on science activities designed to create an awareness of Lake Tahoe’s ecology and provide an opportunity to learn about environmental and Earth science. The event is hosted by UC Davis scientists, staff and local agencies and organizations. Join science activities, games, crafts and demonstrations. 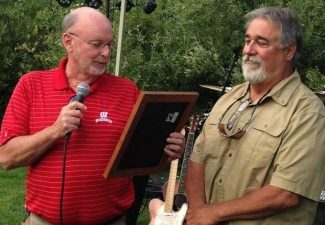 The 15th annual event will be held on Saturday, Aug. 9, 1-4 p.m. Contact Heather Segale, education and outreach director for volunteer opportunities and information at 775-881-7562 or hmsegale@ucdavis.edu. The National Pony Express Association conducts an annual re-ride of the historic 1,800 mile Pony Express Trail with more than 600 equestrians riding the St. Joseph, Mo. to Sacramento route. Join the Tahoe Rim Trail Association for a Pony Express event on Saturday, Aug. 9 at the Grass Lake trailhead, located off of Highway 89 in Meyers, Calif. The Pony Express was in service from April 1860 to November 1861. Telegrams and letters were carried in a “mochila,” the Spanish word for knapsack. Riders had just two minutes to exchange horses. The mochila design allowed for easy and quick removal and placement on a fresh horse. Re-riders from the National Pony Express Association will have a mochila for viewing. Tahoe Rim Trail Association board, staff and volunteers will be stationed at the Grass Lake trailhead 8:30 a.m. to 12:30 p.m. to meet the public in conjunction with the 2014 Tahoe Rim Trail Challenge, “Where’s McLeod? Summer Giveaway Series.” Challenge participants wearing a Trail Challenge will be eligible to receive a gift certificate from Coffeebar and photo opportunities with McLeod the Marmot. Existing TRTA members can enroll in the Challenge for $20. Begin the challenge and register at http://www.tahoerimtrail.org. Northstar Chamber Players will perform with Donna Axton on piano Saturday, Aug. 9, 7 p.m. at the Mark Twain Cultural Center & Toccata Guttman Music Hall, 760 Mays Blvd., No 10, Incline Village. Questions? Call James at 787-602-2121 or email toccatatahoe@gmail.com. On Sunday, Aug. 17, the Chabad Jewish Center of Lake Tahoe will host an evening with Sassy Reuven, veteran of the Israel Defense Special Operation Forces, story about the raid on Entebbe and hostage rescue. The lecture will be held at 7:30 p.m., with VIP cocktails and hors d’oeuvres with Sassy Reuven at 6 p.m. at the Chabad Jewish Center, 1898 Venice Drive, South Lake Tahoe. During the terror-filled years of 1973-1976 Sassy served in the IDF’s elite “Red Beret” paratrooper unit. He participated in covert operations in Israel’s struggle against terrorism. In July of 1976, Sassy participated in the Entebbe counter-terrorist hostage-rescue mission — code named “Operation Thunderbolt” — flying thousands of miles over enemy territory to rescue Jewish hostages held by terrorists in Uganda. On June 27, an Air France plane was hijacked by Popular Front for the Liberation of Palestine members and flown to Entebbe, Uganda’s main airport. More than 100 Israeli and Jewish passengers remained as hostages and were threatened with death. Israeli transport planes carried 100 commandos more than 2,500 miles (4,000 km) to Uganda for the night rescue operation. The operation lasted 90 minutes and 102 hostages were rescued. Five Israeli commandos were wounded and unit commander Lt. Col. Yonatan Netanyahu was killed. All the hijackers, three hostages and 45 Ugandan soldiers were killed. Sassy will share his experience step-by-step from being called to duty, mission preparation, landing in Uganda and completing the mission behind enemy lines. Limited seating available, RSVP required. Visit JewishTahoe.com or call 530-314-7677 to reserve. The Tahoe Rim Trail Association (TRTA) annual Tahoe Rim Trail Back Country Camps will be held at the Marlette Peak Campground Aug. 16 and 17. Meet new people, work up a sweat, and enjoy a few nights under the stars. At this year’s camp the TRTA aims to reconstruct the Marlette Peak Trail to reopen it for equestrians and mountain bikers. Camp out, work hard, and enjoy food prepared by camp chefs. TRTA seeks volunteers to assist with widening tread, clearing brush and building rock retaining walls. Camps need kitchen volunteers also. All skill levels welcome — no prior experience necessary. To join, register at http://www.tahoerimtrail.org, email amyt@tahoerimtrailassociation or call 775-298-4492. Historic Thunderbird Lodge is offering a wine and cheese tour for visitors Friday afternoons during August. Regular public tours of George Whittell’s 1930s mansion will operate through Oct. 18. All visitors to the Thunderbird Lodge will learn the lore of the adventurous and unconventional Captain George Whittell, Jr., including tales of his big game animals, high-stakes poker games, Duesenberg automobiles, and more. Legend springs to life as visitors discover the Lighthouse Room, Old Lodge, servants’ quarters, and the 600’ secret underground tunnel leading to the legendary wooden speedboat, Thunderbird. Reservations are required for all tours and visitors may choose to arrive by shuttle bus, boat or kayak. Tours typically last 90 minutes and require walking approximately 1/3 mile. We recommend comfortable walking shoes and a warm jacket. Land tours depart the Incline Village Crystal Bay Visitors Center at 969 Tahoe Blvd. (Highway 28) in Incline Village and cost $39 per person and $19 for children ages 6-12. The Friday afternoon wine and cheese tour costs $100 per person (age 21 and over), with $50 a charitable contribution to preserve Thunderbird Lodge and Yacht. For land tour reservations call 800-GO-TAHOE or visit http://www.ThunderbirdTahoe.org. Visiting students ages 15-18 from Germany, Spain, Switzerland, Thailand and more seek host families for the 2014-2015 academic school year. Host families are needed for fall semester and full school year. Host families (traditional families, singles, empty nesters, etc.) serve as mentors and a home base for their student. Visiting students participate as active members of the family and integrate into their host’s daily routines and traditions. Hosting an international student is a way to explore a new culture and promote a sense of lifelong learning and adventure. iE-USA, the sponsoring program, is a nonprofit organization dedicated to promoting education and understanding through intercultural and academic exchange. Contact Dawn Green at d.green@international-experience.net, 208-447-8118. Host families may review prospective student profiles online at iE-USA.org. Families interested in hosting this year must apply by Aug. 15, 2014. Folks who never get onto the lake or only cruise to Emerald Bay miss most of Tahoe’s treasures. “Captain Bucko’s Onboard Cruising Guide” by historian and resident Roger Huff enables boaters to take their own “self-guided tours.” It contains: answers to frequently asked questions, captivating stories, local legends, and guides to Tahoe’s must-see points of interest, marine facilities and boater-friendly restaurants. Also included are safety tips, emergency contact information, nautical rules of the road, boat handling and common weather bulletins, all offered in a fun-to-read format with color photos and sprinkled with Bucko’s wry boating humor. Do you know: in what Bill the lion liked to ride, tips for surviving in cold water, the legends of Eagle Rock, where the lake’s deepest point is at, what made the Bear Slides, how to make a distress call, wake management laws, or the rules of navigation in narrow channels? 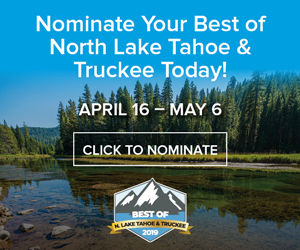 If not, purchase the guide book at The Bookshelf in Truckee; Obexer’s Boat Co. in Homewood; The Gatekeeper’s Museum in Tahoe City; Sierra Boat in Carnelian Bay and The Potlach in Incline. Don’t leave port without it!